Whether you’re a beginner or a pro the first signs of Spring is magic time to all interested in growing things! I know this because it happens ever year, it’s one of those wonderful things about seasons. 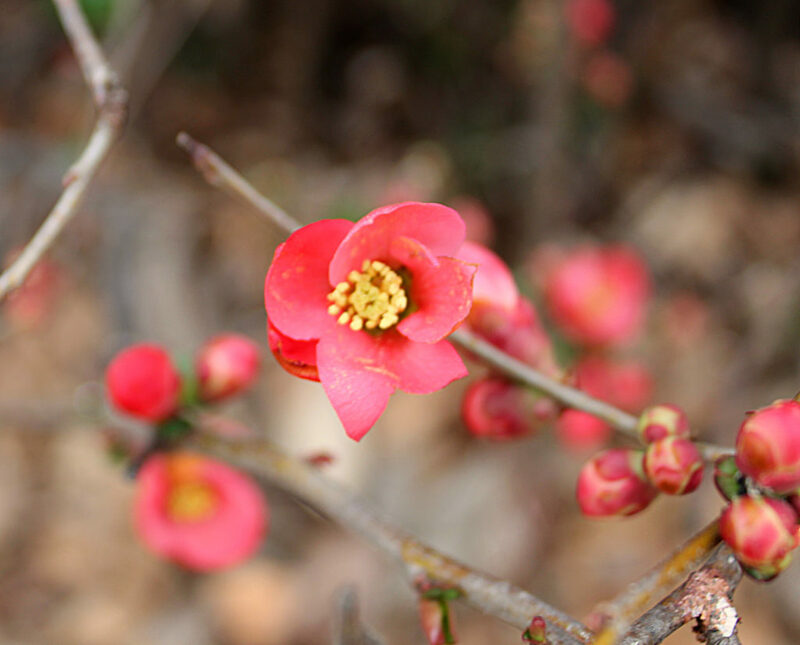 If you wait…Spring will come! In Oklahoma we go all the way from zone 6 to zone 8. That’s a big deal when trying to figure out this “gardening thing”. We can get zero degree weather in March and 110 in September. When all my southern gardening friends are planting their early peas in February, I’m impatiently waiting and waiting until March 1st. 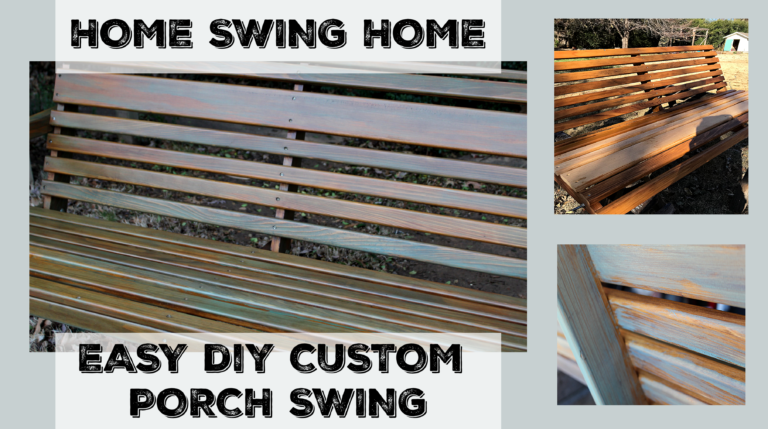 OK my design isn’t all fancy like some on the internet. 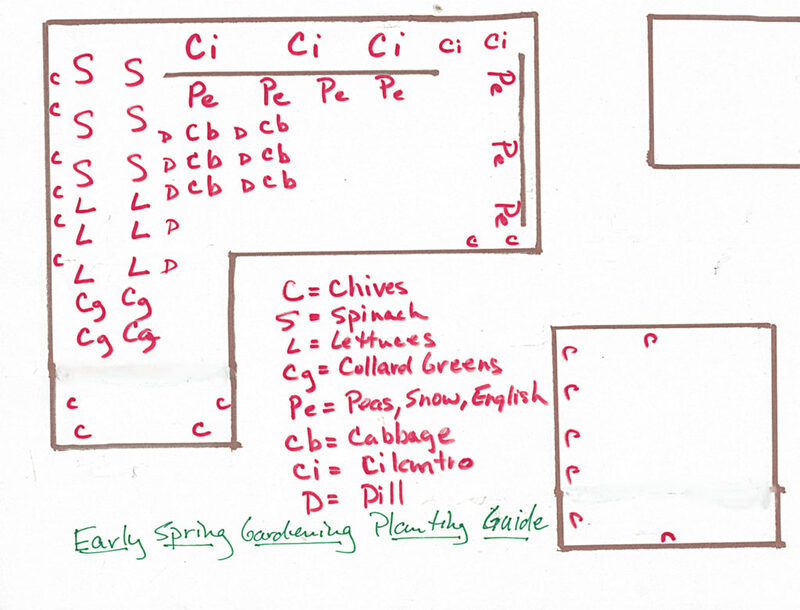 It would take me till summer to get around and perfect a CAD garden diagram. 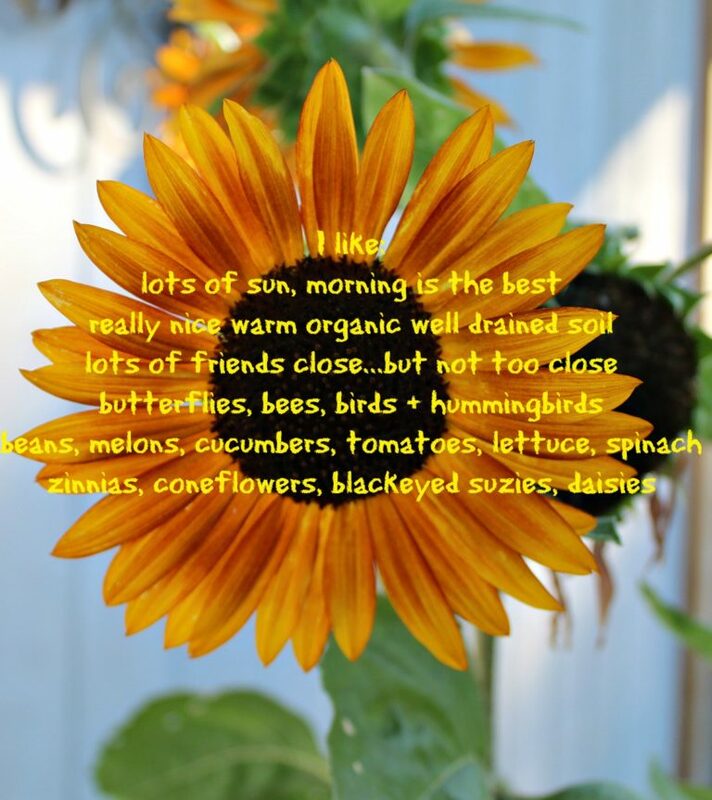 It all does the same thing; organize thoughts and purchase seeds and starts ASAP before the catalog companies and local plant nurseries sold are out. Cilantro, dill and peas will be planted directly from seed in a sunny spot that will change over to partial shade in May. Make sure the ground temp is at least 40 degrees before planting. You can check this daily with your area AG university. Cabbage starts will be planted in an area that will have full sun until their life cycle is complete. All of the above will have finished producing by the time tomatoes, peppers, cantaloupe, okra, basil, green beans, and Swiss chard are ready to plant. Lettuce and spinach thrive in the early spring sun but will get overheated easy when early May arrives. Because it’s always a crap shoot when things start to heat up, reseeding these in the very back of the garden will happen in April for their best shot during June. 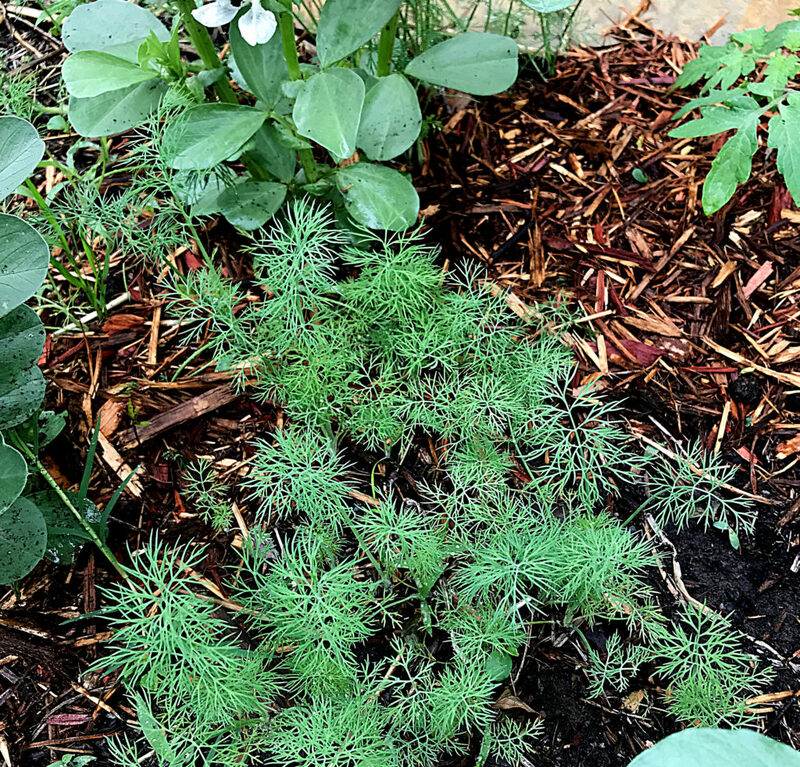 But…even planting these in partial shade might not help them thrive in my Okie garden. List of Veggies that thrive in partial shade. Cilantro will reside close to the peas and beans. It thrives on the nitrogen the beans produce. Chives will be scattered around the whole garden. Not only do they get along with most plants, they can be long season perennials if left to flower and reseed. Plus, fingers crossed, they will deter those cute bunnies from feasting on my peas! Plus, Plus, the blooms and stalks are edible and delicious in almost any dish. And PLUS, PLUS, PLUS…THE BEES LOVE THE PURPLE FLOWERS!!! 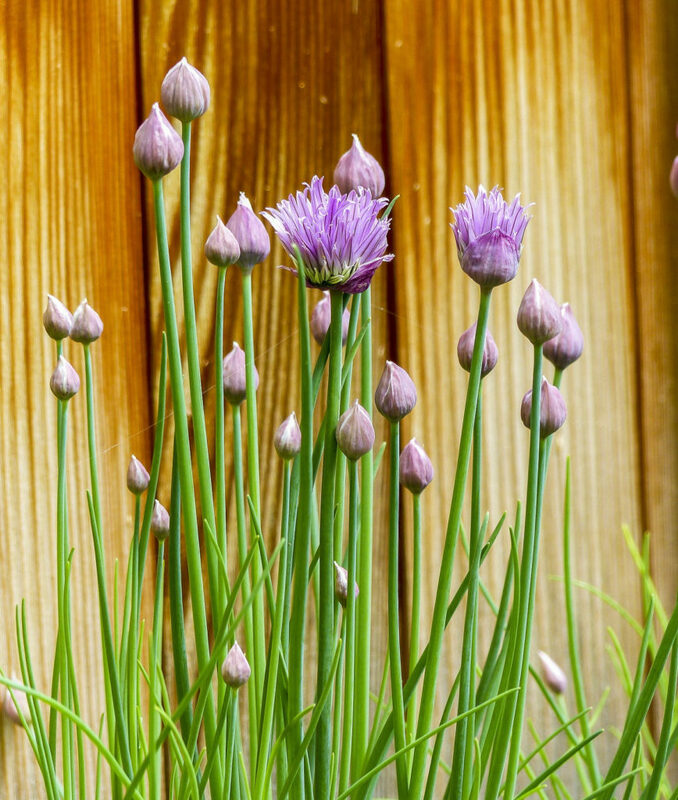 Kitchen Herb Staples to grow in your backyard garden. 1: The number one activity to really get your garden area super charged is MULCH! If you don’t do anything else do this. Mulch with fresh garden compost if you have it, wood chips, crushed leaves, bagged mulch from the garden store. Leave last year’s plant root remnants (except tomatoes) and add minerals like Azomite, Green Sand, bone meal, organic fertilizers, worm compost, or cotton burr compost. Mulch is crucial to a healthy garden during the really hot months of summer. It helps with moisture retention in the soil during the hot times and water saturation during heavy rain periods. 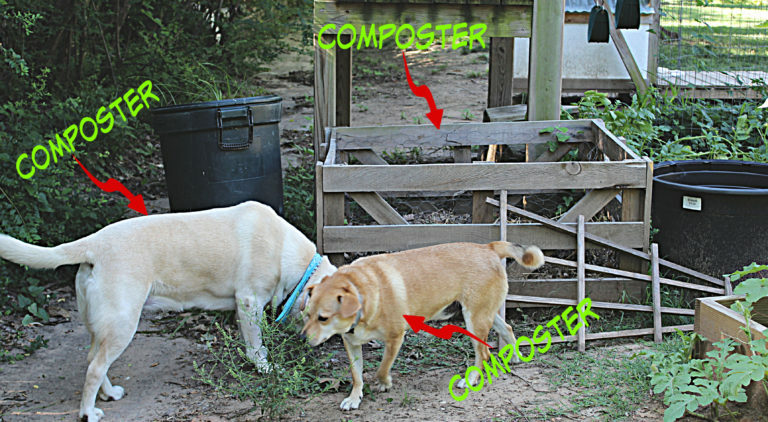 Click on this link for Easy Trashy Gardens! 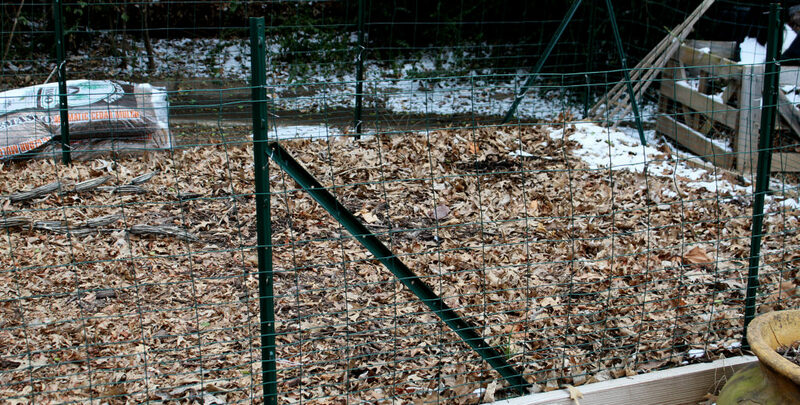 2: Repair any holes in your rabbit fencing, shore up any trellises, repair leaks in drip irrigation if using, and put down extra mulch in your garden pathways. 3: If you’re going to try and start growing from seeds I would start thinking about it now. I have started seeds indoors before and some years its been successful and some it’s been a total disaster! 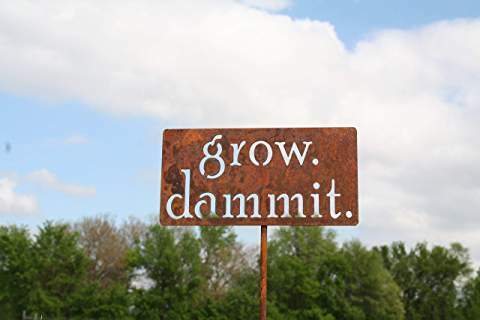 I love this hand crafted garden art…sums up perfectly how I feel every spring! The best results I’ve had with seed starts happened last year. I planted lettuce and spinach seeds about a month before their optimal planting time. I used a homemade mini greenhouse! I’m definitely doing it again this year but this time I will take pictures! LASTLY – WATER, WATER, WATER! Even if you don’t have any plants in the ground yet! 4: Don’t forget the water! Dusty garden soil is worthless, void of nutrients and definitely lacking in all the underground goodies like worms, protozoa, and space for water to seep through to plants. Mulching will help retain all of this. I think most gardeners are successful because they use their instincts. They frequently check the 10 day forecast. And are patient…very, very, very patient! I would absolutely love pics of your garden this year! I think I learn more from other gardeners than any course I’ve ever taken. Thanks for reading! Now start planting!! Easy Pollinator Attracting Plants to grow in your backyard garden.